Living a dairy free lifestyle can be challenging at first but if you experiment and try new spices and different ways to add flavor, you will quickly discover that dairy free food tastes amazing, too. 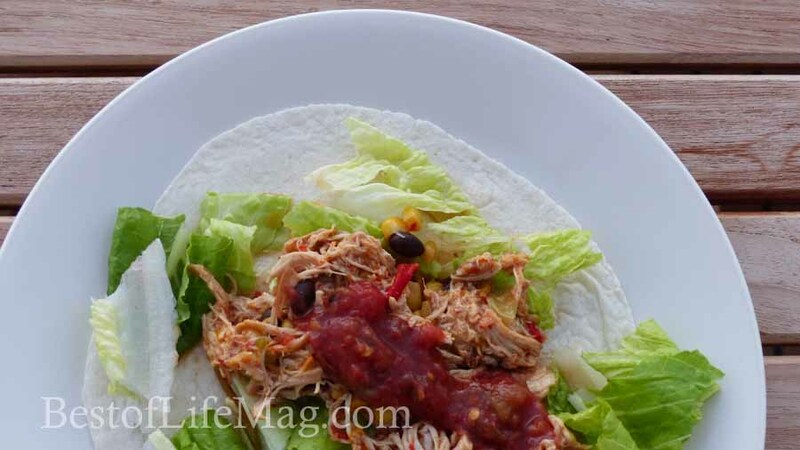 These dairy free slow cooker chicken fajitas are easy to make making them perfect for a busy healthy lifestyle. These dairy free slow cooker chicken fajitas have an extra kick of flavor so you won’t feel like you are missing a thing without cheese! If you want to add a dairy free cheese on top, even better. 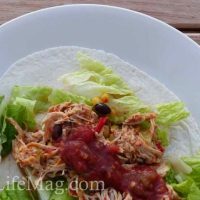 Everyone in our family loves these slow cooker chicken fajitas that are dairy free; they are requested time and time again. Some like cheese on it so I simply pull some out of the crock pot into their own bowl and mix in the cheese so they can enjoy the ooey gooey texture even if I cannot. And if you have not already tried, you should see if your children have any symptoms when they eat dairy. I was the first one in our family to be diagnosed after suffering for 40 years; our son quickly realized he does not have stomach issues if he stays off of dairy and now prefers food without it. 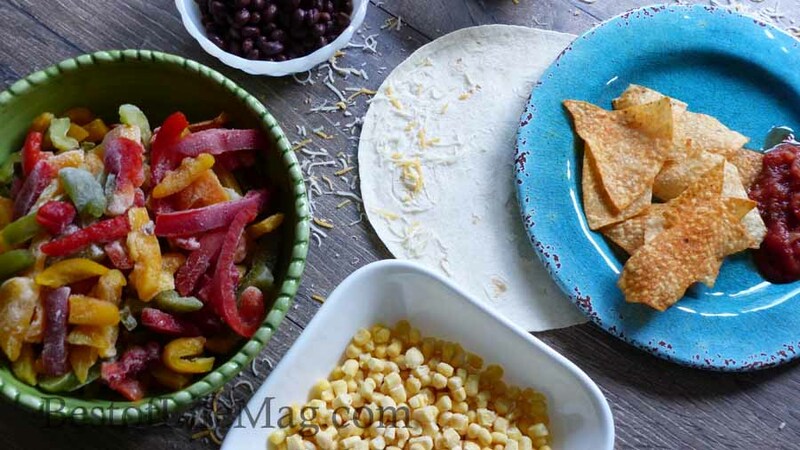 A dish like this dairy free slow cooker fajitas is easy to customize so everyone is happy. The crockpot makes everything so easy. 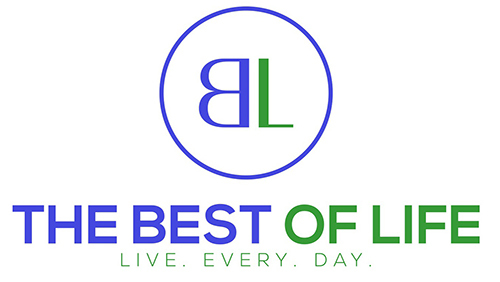 We love cooking with ours, you can find even more great recipes for the crockpot here. Chicken breast is the star of the show here, everything else will be used to elevate that chicken to a new level. Some ingredients like the olive oil and the fajita seasoning will be used to cook the chicken, everything else like the frozen corn, frozen fajita veggies, and the black beans will be used to add flavor and spice to the dish. Of course, some of the ingredients will be added to the plate later. Serving ingredients are ingredients that can be added to the top of the dish after it’s already been cooked. 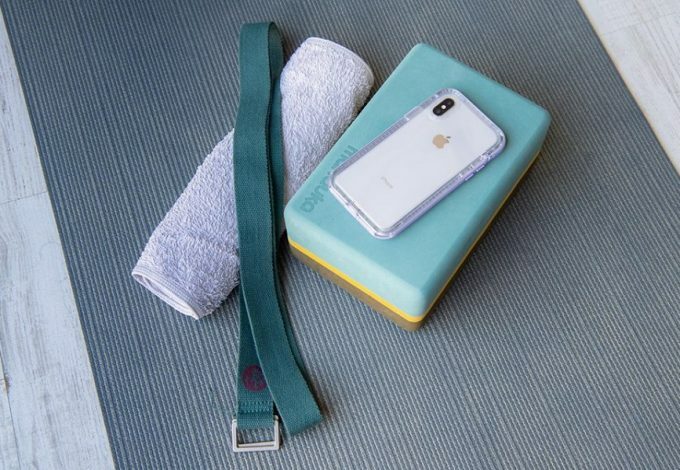 You could add whatever you like but a few things that are recommended include things like vegan shredded cheese, tortilla chips, tortillas, butter lettuce, and salsa. Add Olive Oil to slow cooker and turn on low. Place chicken in slow cooker with fajita seasoning to preference. 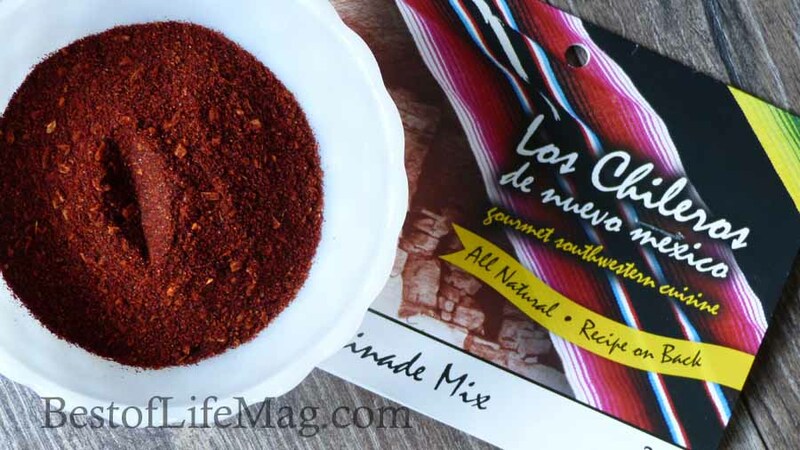 You can use any fajita seasoning with this recipe; we love the Los Olivos seasoning and use 3 Tbsp of that with the recipe. Cook on low for 6 hours. Add corn, fajita vegetables, and black beans. Cook on low for 1-2 more hours. Serve as desired and offer variety for everyone in the family. 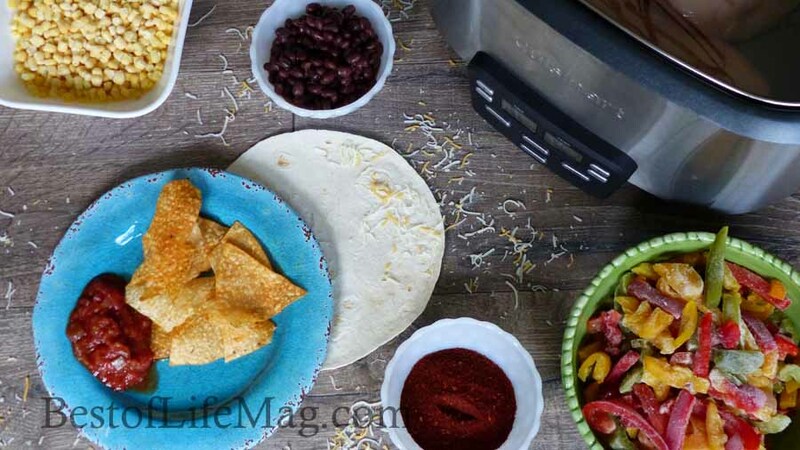 My husband loves using tortillas, I make a salad with it and the kids scoop it with chips. Cheese can be added for those that want it and if you are dairy free like I am these slow cooker chicken fajitas are delicious without any dairy at all! If you are looking for more dairy free dinner options you should try this post full of diary free crockpot recipes! These dairy free slow cooker chicken fajitas have an extra kick of flavor so you won't feel like you are missing a thing without cheese! 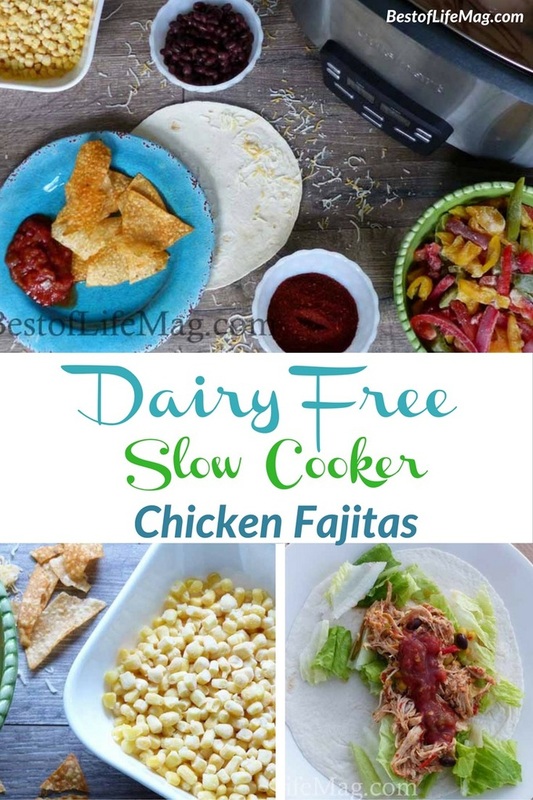 Cheese can be added for those that want it and if you are dairy free like I am these slow cooker chicken fajitas are delicious without any dairy at all!